Are you a teenager or child who is tired of shooting airballs? Are you a non-NBA-sized player who wishes you could dunk? Well, Hyochang Park has you covered. 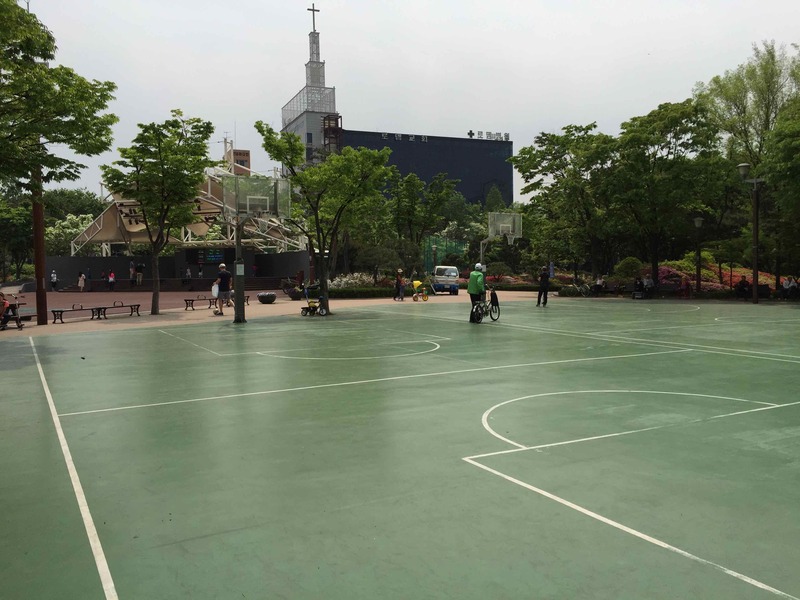 It has 1.5 courts with 3 lower-than-regulation nets. 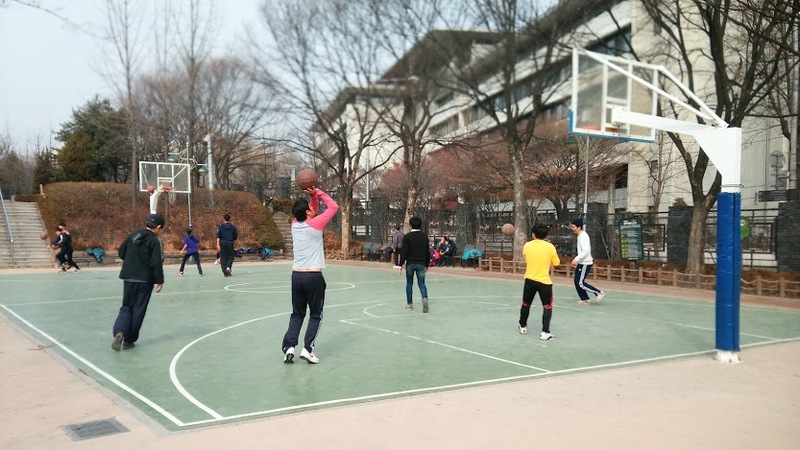 Slam Dunks in Seoul! Close to Seoul Station? Got a basketball in hand? Want to play a game? 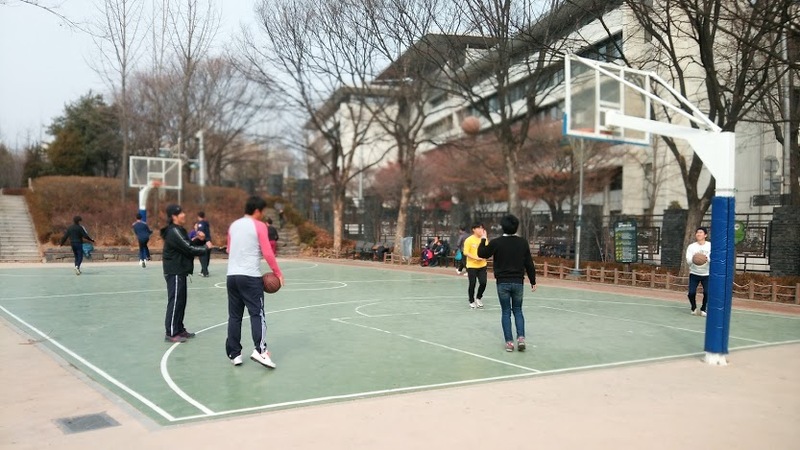 Then head to Hyochang Park. Standard green top. Good balance equals good grip. Lowered nets which are great for growing bodies and grown individuals with average height. Courts stay relatively busy and are close to a subway station. There are benches around the court, so feel free to bring your entourage. 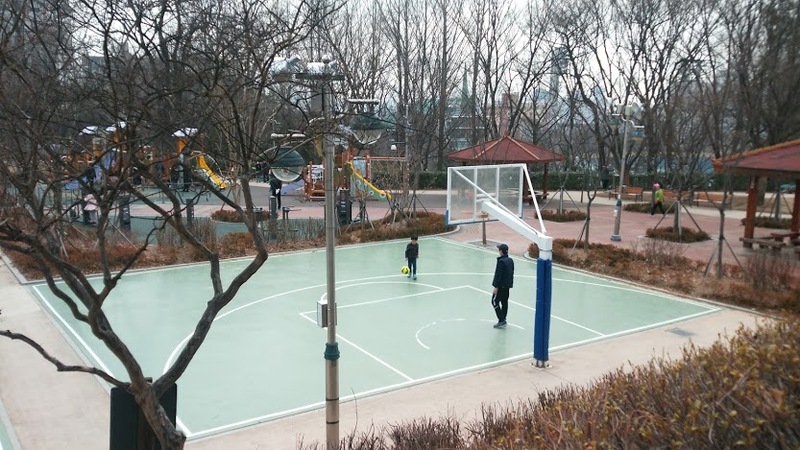 The basketball courts are close to the badminton courts and children's playground. It's a great set-up if you're coming with multiple kids. If you don't like lowered nets, then this is not the place for you. The goals do have some wear and tear. The rims are in pretty bad shape. Bathrooms are on-site and convenience store are nearby. This is great! Especially if you like to consume and dispense liquids. Check out the Hyochang Park photo album to see more pictures of the area. -Walk out of exit one. Make a u-turn and take your first left. Walk straight for 480 meters. You will pass Hyochang Stadium. The park is beside the stadium. 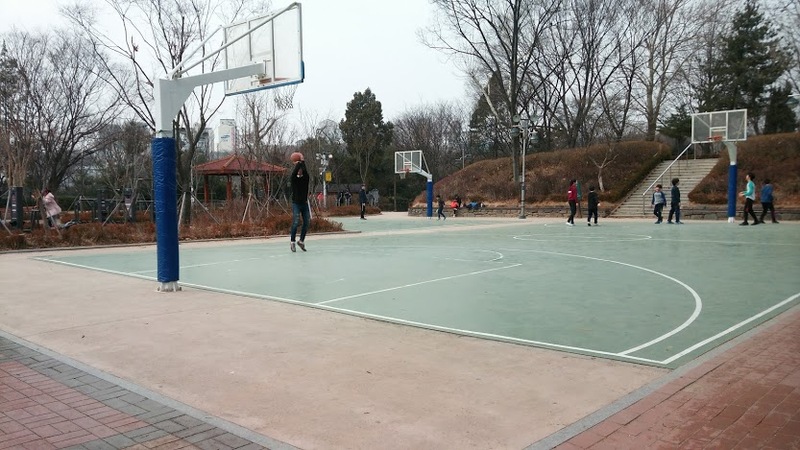 The basketball courts are close to the badminton courts. If you're looking at the map, the basketball courts are not listed. Look for the badminton courts instead.